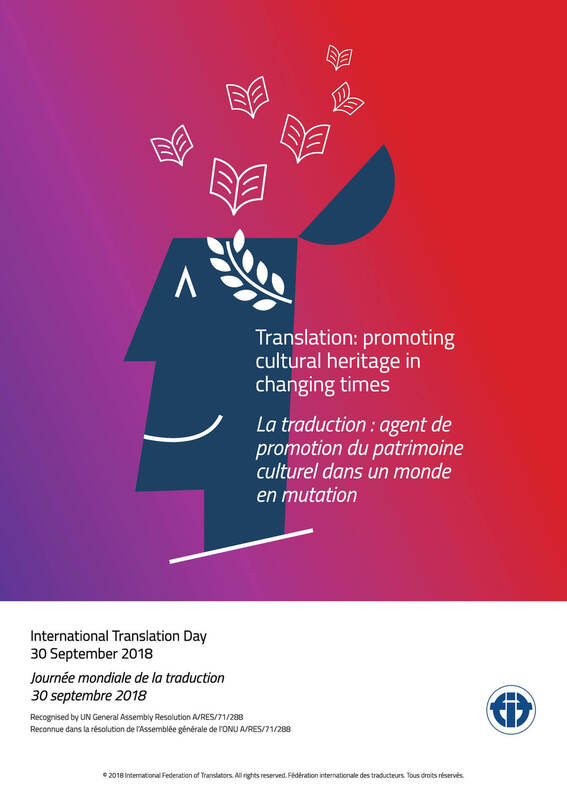 Although the International Translation Day (ITD) was first established in 1953, it was only last year, in 2017, the UN General Assembly declared September 30 as the official celebration day. Why September 30, you ask? Because it is the feast of St. Jerome, who is regarded as the forefather and patron saint of translators, because he translated the Bible from Hebrew into Latin for the first time in the 4th to 5th centuries. Since its inception the ITD has been celebrated to acknowledge and honor the services of professional translators, interpreters and terminologists worldwide for their contribution to communication between nations and to world peace. The 2018 theme for ITD is “Translation: promoting cultural heritage in changing times”. It was chosen by the International Federation of Translators (FIT) council in preparation of a collaboration with the UN in 2019 which was declared the International Year of Indigenous Languages by UNESCO. From 24 to 30 September 2018 various events take place in countries of the UN network. In the context of the holiday we would like to thank our translators at OneSky and everyone else who has worked so hard and continue to do so to make our games available in different languages to a worldwide audience. You rock! Happy International Translation Day from your LITE Games Team!